Books are life. Forget water! Her uncle asked her last night where she bought her pajamas from and to our amazement, she responded “the clothes store”! I kid you not. This girl’s vocabulary is developing faster than she can say consability (responsibility) and I attribute it all to our reading culture. Granted, her pronunciation of so many words is not the best but the fact that she can articulate and tell a story from beginning to end is impressive. Of course it is filled with “and then” after every sentence but all the same we look forward to her stories. Also, answering all her questions no matter how many they are (boy can she ask questions!) helps her understand how things work. In turn it enables her remember to use your words when explaining the same. She is only 3 years old. On the flip side, we have to be careful about what we say around her because it can be reported to a third party word for word! I had an embarrassing moment at grandma’s but I will save that for another day. We normally use Swahili when talking about her or about something we would not want her to know which is pretty hilarious. 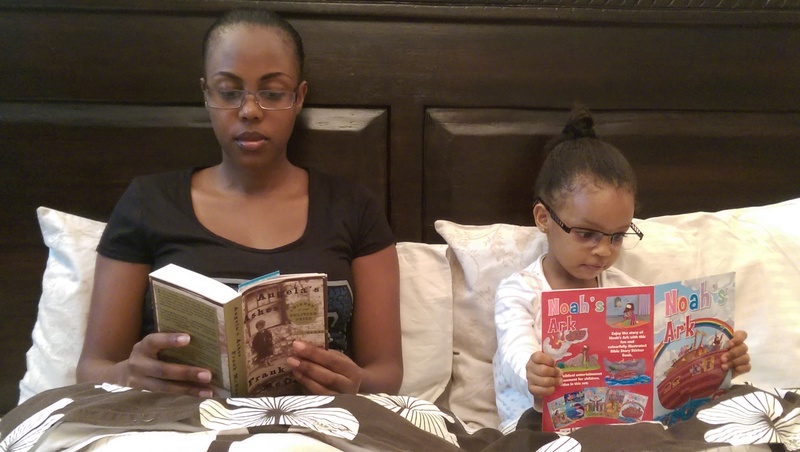 Some day she might learn Swahili and we may need to learn another language then hehe. Our books collection is wide, from bible stories, to Disney characters, to non-fiction. 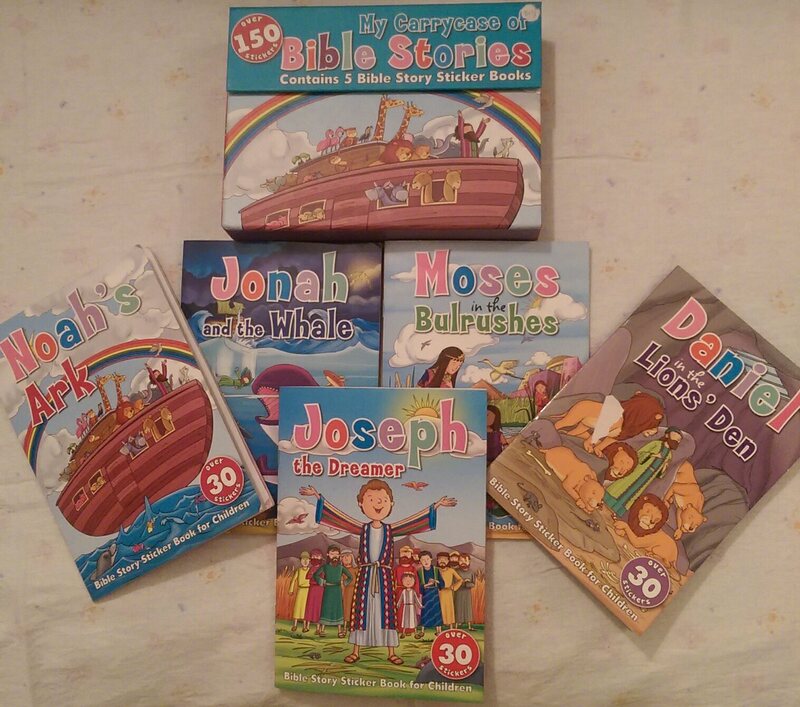 I have chosen to showcase the bible stories collection as I found it to be an awesome buy. For the price of Ksh 800, you get five bible stories and a solid carrycase, which protects them from wearing our fast and is convenient for carrying them when traveling. The cherry on the cake is the 30 stickers that each book comes with which makes reading all the more fun. You can get the books at Text Book Centre, The Junction Mall. Please do not forget to subscribe to the blog by submitting your email address on the right side of the page. P.S She is wearing faux glasses from Target US. I love your blog, looking forward to many more posts! Thank you Ann. Stick here for more of my adventures and kiddie stuff. My son is 1 year. I have tried to introduce reading stories in vain. The boy wants sockets, door locks and keys, lego and other interesting stuff. How do you develop the culture? Can it be swift? Hey Liz, at 1 year it’s understandable he wants all those things because they love to be all over the place. Try getting books with really big and colourful pictures and make reading fun by varying your tone. You guys don’t even need to be at it for too long at this stage. As he grows older he will take to it. Thanks Agather for being here and glad you are enjoying the posts. You are right Jacinta, it’s never too late! Enjoy. Books are everything!!! Go little girl!! Best foundation for your child. Couldn’t have put it any better Doris! Thank you for your recommendation! Will most definitely do. Hey, this is the sweetest photo . you guys look adorable…hey those books, can i get some? Awww:) Thank you Caroline. You can get the books at Text Book Centre at The Junction. I bought mine from there mid last year but I believe they still have them in stock. She greatly reminds me of Dee from #Blackish. You got me googling Blackish and now I want to watch it! Black show with a 7.0 rating..hello my first new series for 2016! And yes, I plan on reading two books a month and getting Xena to read one book each month. Hehee, probably not a good idea distracting you with a series in the middle of #AngelasAshes. ?….you’ll love it though! Well done Joy…..Xena has no excuse in being Dr. D’souza in the near future….If only we had this when growing up but it’s never too late to start. Sasa mimi huyo to get the books for Kristian…..waiting for the next post?? Thank you and Amen to your prayers Triza, though I think she will be Eng. D’Souza what with all the building blocks fascination! Please start reading for and with Kristian asap! 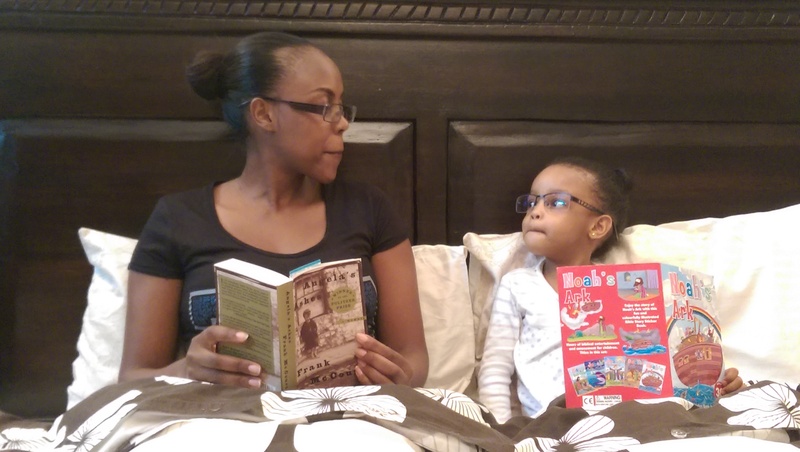 I need to teach my little favourite cherry some Swahili…??? You said it right. Books are life. 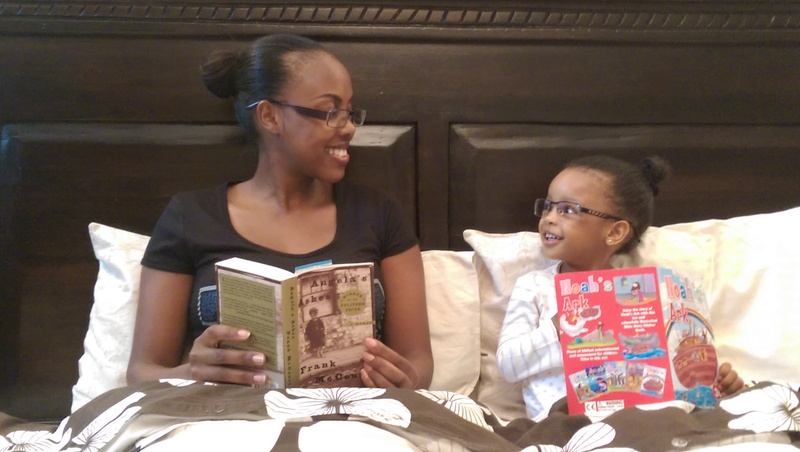 Those are good reads for the little kids, and at 800?? 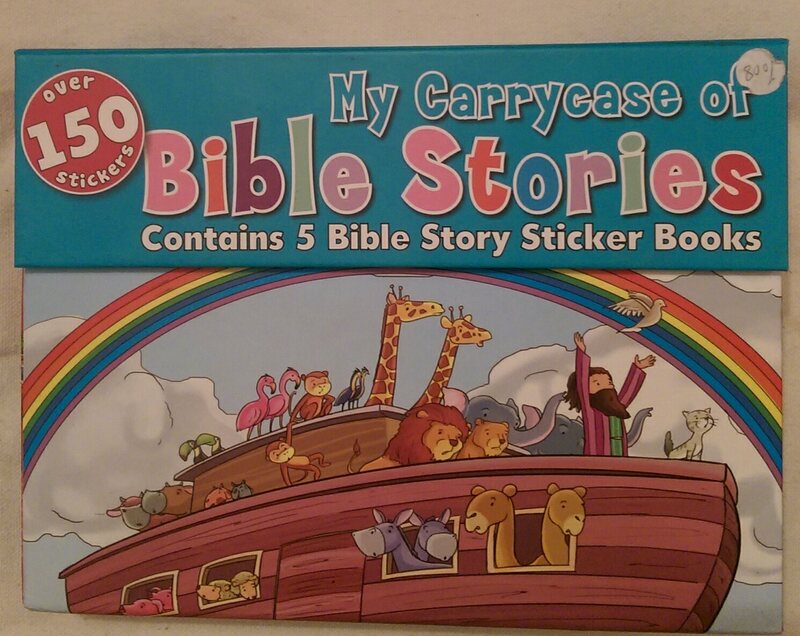 And the best part is that they help parents refresh their knowledge of bible stories! This is so beautiful. I am jealous and can not wait for my chance too. I love that you are getting the culture now when you are young. It is such a good habit and will help even in school. Well done Xena. Will be heading to the bookstore to buy some books for my toddler. 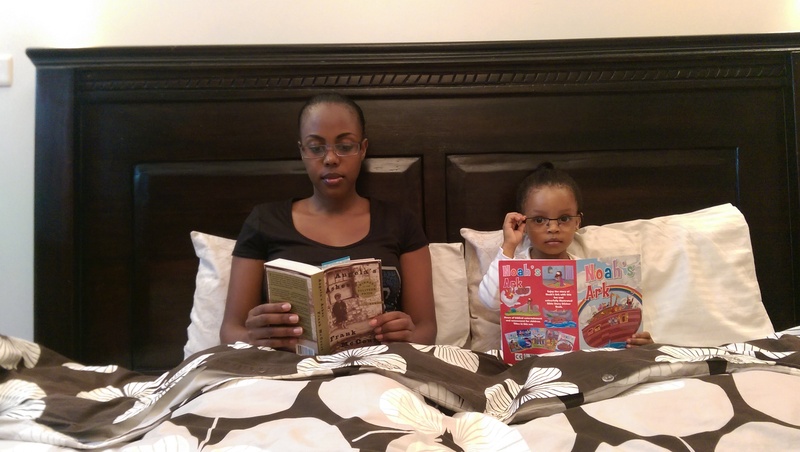 In our house we speak in mother tongue when we don’t want our toddler to know what we are talking about … hehehe. Somehow I am glad we still have that one language she cannot understand very well. When you belong to different ethnic communities, that is a hard one. 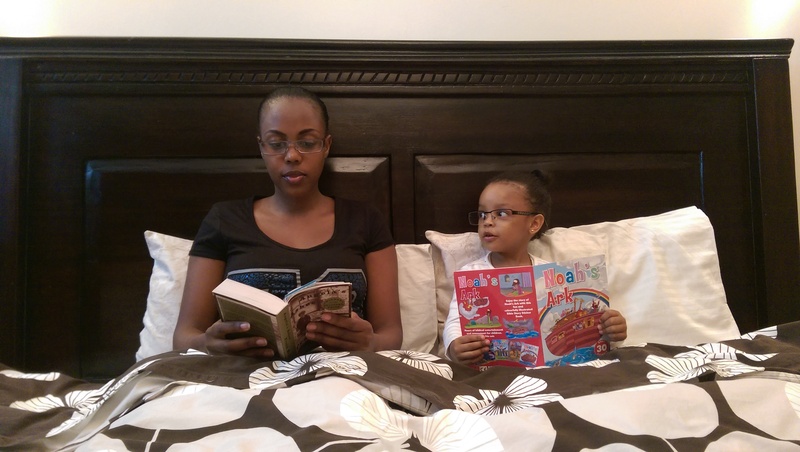 You are so lucky Mama Ivanna, some of us failed in mother tongue. No matter how many times my mom spoke to me in Kikuyu or I was sent to my cucu, the accent never caught on. Though I understand it fully. My husband on the other end despite his mom being Kikuyu and spending long holidays at the cucu’s, Kikuyu remains very foreign to him hehe. Enjoy book shopping!